“Ground breaking for its time. I remember reading about it in an old Nintendo magazine and immediately wanting one, even after only seeing Mario 64 (and I’m not a huge Mario fan) I knew I had to have one. Finally seeing the beast in action at a local Dixons store, I waited about 20 minutes in the queue to play it while my father looked around the store with my brother at sound systems. I finally had my turn and ran around the garden in Mario 64, my little mind was blown and I was hesitantly torn away to go home. I begged and begged to my father (who hated the idea of video games) if I could have one for christmas. My passion for it must have heavily shown, as I excitedly unwrapped one that christmas. I played Mario 64 and Star Wars: Shadow of The Empire to death. I was blown away by Lylat Wars when it finally came out too, saving my pocket-money for the limited edition rumble pack version. 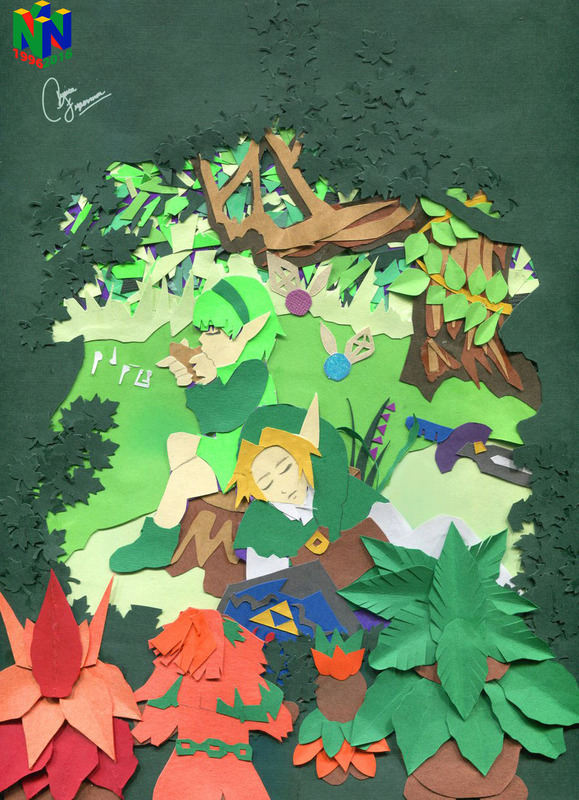 I saw the exclusive images of Ocarina of Time in a magazine aptly titled N64. (The suspense for finding information out in monthly magazine back then was something this generation will miss, having information at their fingertips). Again, I was blown away. I couldn’t wait. I saved up any money I could and pre-ordered the gold cart edition from my local Blockbuster. That was my first pre-order, which is now commonplace. I rushed down there on release day and immediately rushed home and hurriedly got the cart in the system. I was greeted with the beautiful opening sequence with Link riding Epona around Hyrule field. The cinematic intro to the game was fantastic and I was blown away with how immersive the game was. Of course, I got stuck many, many times while playing through. My friends bought the strategy guides but I refused to even go near them. I remember getting to the temple of time, pulling out The Master Sword and emerging as a 17-year-old Link, stepping outside and sh**ting myself (figuratively) at the horrificness of the ReDead’s. I’d not felt this much dread since playing the original Resident Evil as an 11-year-old. I continued to be blown away right until the dramatic conclusion to the game. And what did I do after I completed it? “I guess Zelda Ocarina of Time is a special game for me because it’s the first game I completed in German (in fact, it’s the game for me that started that language learning thought experiment in the first place). Other than that, it was actually a fairly nice game, considering it was the first Zelda in 3D, and there’s a lot of things that could go wrong when you add an extra dimension. But the controls, the gameplay, and the game content itself worked out very nicely, and even years later on the 3DS, it’s still a pretty good game. On retrospect, Ocarina of Time is not particularly a difficult game; I first played the game when I was much younger, but the fact it was in 3D back then and the dark feel some of the dungeons and areas of the game had were enough to make me feel a bit creeped out about approaching them. The game is actually a lot more forgiving though if you make mistakes, unlike say A Link to the Past on SNES. 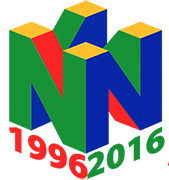 For a first 3D game on the N64, I suppose that’s not actually a bad idea. It could have been far too hard, and that could turn players off of games moving to 3D. The Legend of Zelda: Ocarina of Time was the first Zelda game since a half decade and one of the most anticipated Nintendo 64 games until it was finally released in November 1998 and “THE” reason for many gamers to finally buy the console. 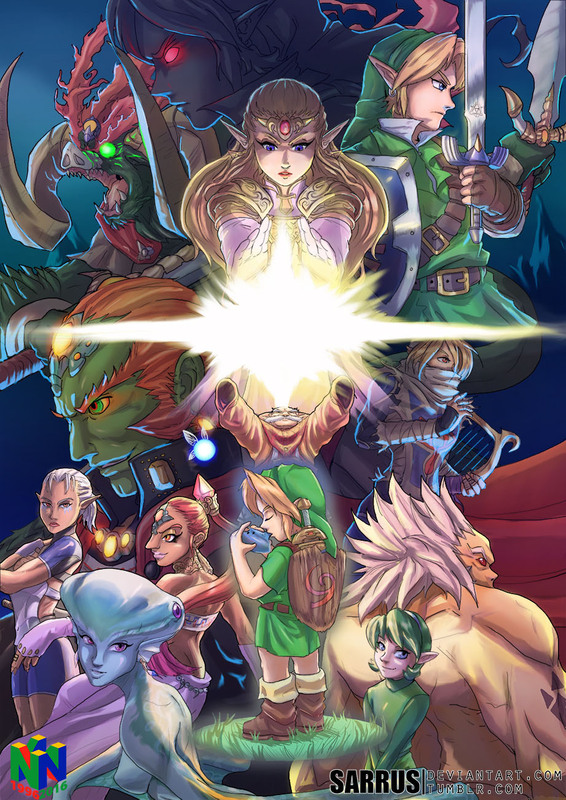 Zelda OoT was a massive success, and is till today named as one of the best Nintendo games ever made. It has a giant Overworld, ambitious dungeons and boss fights, a great story and lovely characters. In short: This game is a timeless masterpiece. 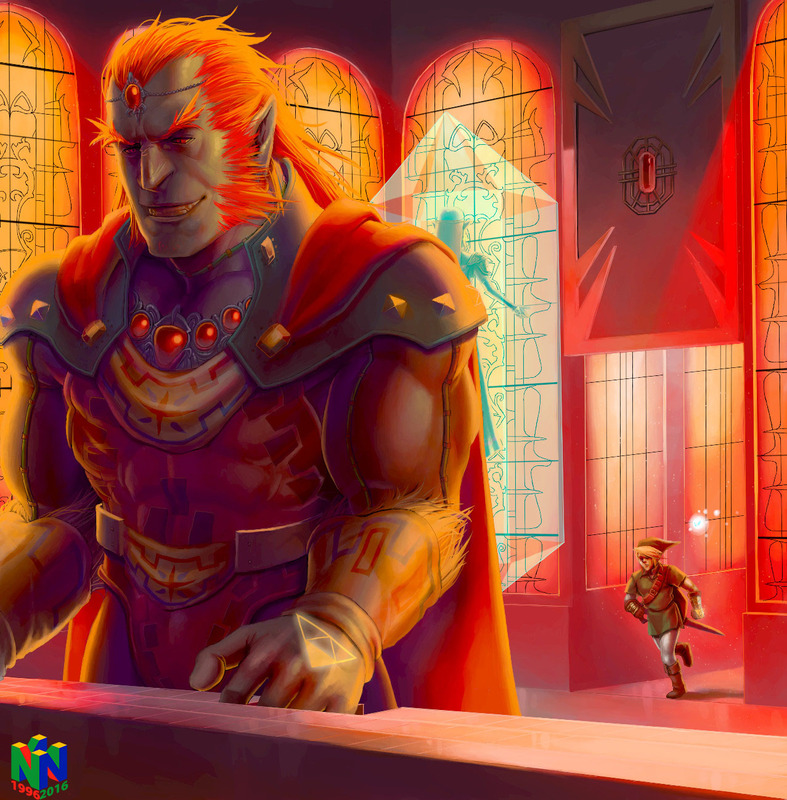 It was the first N64 game that was claimed by 3 artists for our Nintendo 64 Anniversary Tribute. The game was ported to multiple later Nintendo 64 consoles as part of a Zelda collection or a Virtual Console download, it also received a remake on the 3DS in 2011.